Glastonbury Festival Campervan Hire – did you get tickets? Having an outdoor wedding is the perfect way to create a wedding that is bespoke to you and tailored to your dreams and desires. Liz Gatherer from Wedition explores a number of diﬀerent ideas and options for you to consider and how you can perfectly compliment your day with your own personalised wedding magazine. A unique way to share your story with your guests and bring your wedding story to life. After all, your wedding day is all about the happy ending of one story and the beginning of your next story together! Outdoor weddings may mean you will have various activities going on in diﬀerent locations. Perhaps you will have tipis – one may be a chill out tipi, one may be for the children to play, you may have a tipi for the wedding cake (just in case there is bad weather, it will be protected). Perhaps you have organised some outdoor games, from giant Jenga to archery there are no limits to the activities and ideas with an outdoor wedding! Maybe you have booked the Butttercup Bus Campervan Photobooth … with so many activities taking place, it would be great if you could give your guests a guide to the day, a ﬂoorpan to what’s where. 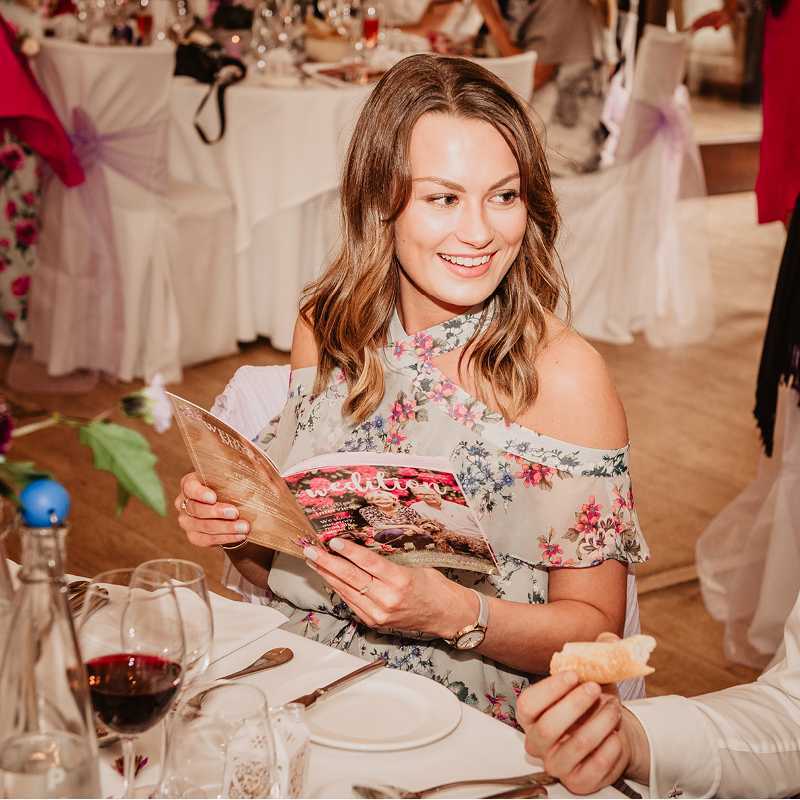 Wedition is so versatile, you can include the things that are most important to you, if you would like to have a guide to your day within your Wedition this will be a great way to be sure your guests do not miss out on any of the fun and games that you have organised! Weddings which are outdoors are a fabulous opportunity to put your own personal stamp on your ceremony. The aisle can be in any shape and conﬁguration you like, perhaps rather than rows of chairs you will go for a spiral – giving everyone a front row seat. 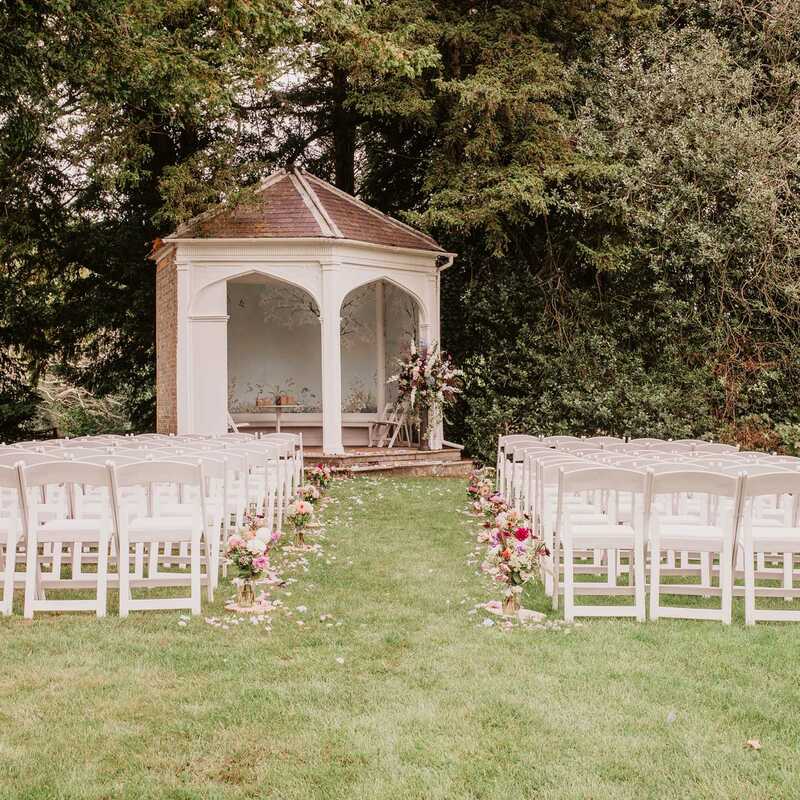 You may choose to position the chairs in a circle and you take your vows in the circle’s centre – a circle is a meaningful way to symbolise never-ending love and support from your family and friends. Some venues will not allow you to use naked ﬂames (ﬁre hazard) or scatter ﬂower petals (stain risk), with an outdoor wedding you can most certainly do this! You can line the aisle with candles in storm lanterns, you can line the bottom of the lantern with coloured sand to ﬁt in with your colour scheme, or perhaps pebbles or shells. Use bales of hay to display ﬂowers, these later can become extra seating for your guests. 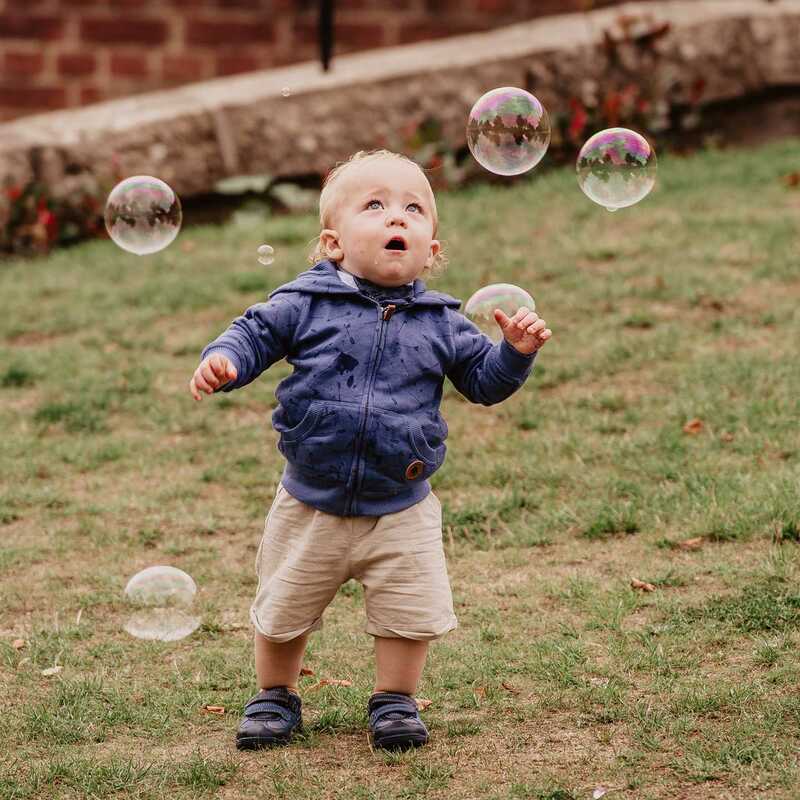 Have ﬂower girls scatter petals along the route you will take or ask your guests to blow bubbles as you walk along the aisle after the ceremony has taken place. You can choose to detail your outdoor wedding aisle ideas within your Wedition, a great way to explain to your guests all the thoughts and details which have gone into your day. Wedding guests are not always aware of the reasons behind the choices you have made, letting them know by giving them this beautiful keepsake will ensure that your outdoor wedding ideas will be talked about for years to come. There are so many incredible options for couples to choose from when getting married, certainly many more than in my parents day. When my parents married, all that was needed was a church, and the adjoining church hall for the reception, there was certainly not much choice on how and where to get married. 50 years later and we are absolutely spoilt for choice, and it looks like the range of choice is about to get wider. The October 2018 budget saw the UK government keen to reform the wedding laws which have been in place since 1836 and bring England and Wales in line with Scotland which has a far more relaxed policy and allows couples to marry in a variety of locations. This in turn will bring the rise of the outdoor wedding and with it, many wonderful outdoor wedding ideas! Until the law is changed, a couple’s outdoor wedding would not be legal and it is likely they would have to then complete the necessary paperwork at the registry oﬃce or have another ceremony, this time legal, at a licensed venue. 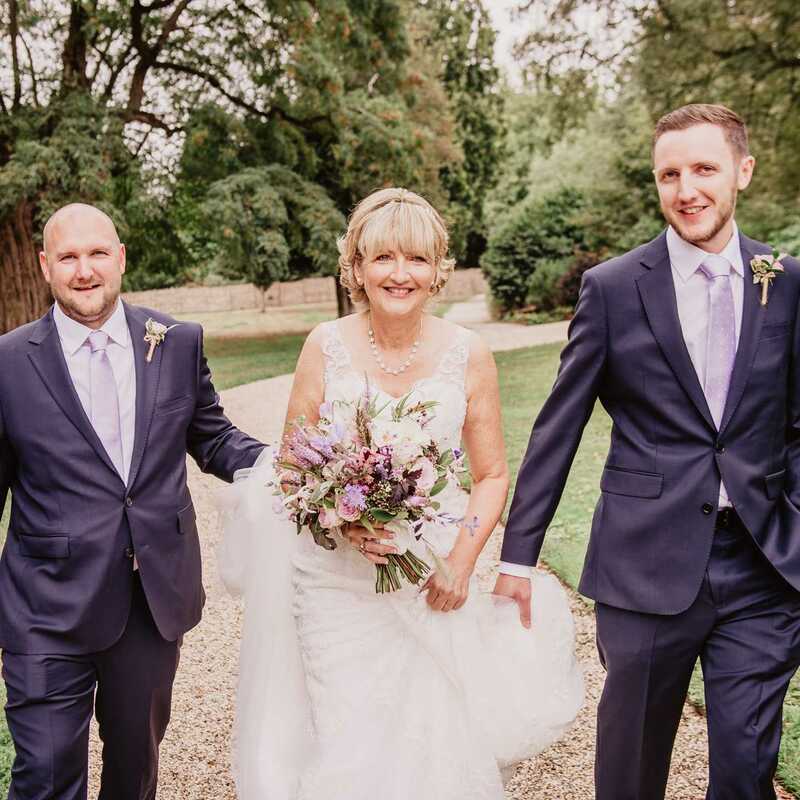 Get in touch with Liz to arrange your Discovery Session and share the story of your outdoor ceremony with your guests in a way they will remember forever! Join our mailing list to never miss an update. We are a classic campervan hire business based in Croydon, operating across Surrey, London, Sussex and Kent. We have a fleet of pretty pastel coloured campervans and beetles to choose from.